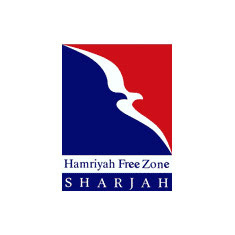 Hamriyah Free Zone is located in the emirate of Sharjah. Sharjah is the only one of seven emirates with ports on the Arabian Gulf’s west and east coasts with direct access to the Indian Ocean, and an International Airport. Sharjah offers extensive transportation links to the Gulf states, Indian subcontinent and the emerging markets in Asian and African nations. These services are made possible by the "Sharjah link". Almost any activity is permitted by HFZ as long as the activity is environmentally friendly and in accordance with local rules. Though it is preferred, companies do not have to add value to their products. Investors can ship goods in and out of HFZ without necessarily adding any value at all. Pre-built warehouses, factories and offices are available for investors to take advantage of, and for those who require tailor-made facilities there are industrial plots available for lease. Staff accommodation is also available onsite with a choice of senior or junior suites. The strategic plan for future development of HFZ’s prime property envisions the building of a range of industrial plots ranging in size from 5,000 sq. m. and upwards in multiples of 5,000 sq. m. These plots can be developed by investors to suit their exact requirements, and up to 60% of the land that is leased can be developed. Although the minimum lease term is five years, investors do have the option of leasing their plot of land for a maximum of 25 years, and then later renewing the same lease for a further 25 years. Lease rates are normally fixed for the first 5 years with a rent review at the end of this period. HFZ’s customer-oriented approach allows customers the freedom to develop their factories, office infrastructure, warehouses, and other buildings in a custom fit manner. However, for those investors who require ready-made, immediately available warehousing space, HFZ provides the investor with a choice of pre-built buildings in sizes of 614 m2, 416 m2 and 275 m2.